On June 12, 2013, North Korea and South Korea were supposed to have met in Seoul to explore whether they could get beyond their decades-old divisions and forge a rapprochement. It would have been the highest government dialogue between the divided nations in years. Then the news came that South Korea had appointed its vice unification minister as its chief delegate. Offended, North Korea demanded that the South instead send a more senior official. The South escalated the conflict by retorting that the North Korean’s proposed chief delegate was already of lower status than the South’s delegate, according to the New York Times. The night before the talks were scheduled to begin, North Korea pulled out and accused the South of “an insult,” South Korean officials told the Times. South Korean officials said they still welcomed a dialogue but would not concede on the issue of delegate selection. 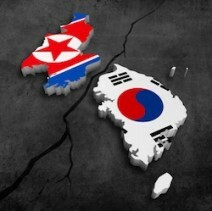 Experts criticized the South Korean government for botching a chance to engage with the North. The South had much to gain from conceding on the relatively minor delegate issue and allowing the North to save face. The saga illustrates the fact that the desire to save face can matter just as much in negotiation as the substance of the deals we strike. Yet negotiators often are so concerned with maintaining their sense of face that they neglect the value of helping their counterparts protect their own image, a mistake that South Korea appears to have made in its dealings with the North. When you criticize a negotiator’s arguments or question her motives, you risk threatening her “face,” or social image. Such direct threats to self-esteem can trigger embarrassment, anger, and competitive behavior in your counterpart, according to research by Judith White (Dartmouth College), Renée Tynan (University of Notre Dame), and Adam Galinsky and Leigh Thompson (both of Northwestern University). Some people are more sensitive to slights than others, White and colleagues have learned. These thin-skinned, self-conscious individuals work hard to control the way others perceive them. What happens when slight-sensitive people negotiate? When they negotiated as sellers in one simulation, they were twice as likely as others to declare impasse even though agreement would have benefited both sides. Interestingly, these prickly negotiators didn’t overreact when they played the role of buyer in the same simulation. The researchers concluded that when slight-sensitive people are personally invested in an issue being negotiated—for instance, when they’re selling a family heirloom or interviewing for a job—they are susceptible to feeling threatened and, as a result, behave competitively. Partially adapted from “In Negotiation, How Much Do Personality and Other Individual Differences Matter?” First published in the Negotiation Briefings newsletter.